Nathan G. asks: Why is lead bad for us? Given that humans have been using lead in various product for over 8,000 years (with the first known mining of it in Anatolia around 6500 BCE), you might be surprised to learn that we have known that lead is dangerous and shouldn’t be trifled with since at least 150 BC, when its effects on the human body were noted by famed Greek physician Nicander of Colophon. Nicander even went so far as to describe the metal as “deadly”, writing extensively on the crippling effects it has on the human body in his work, Alexipharmaca. Further, Greek physician Pedanius Dioscorides noted in the first century AD: “Lead makes the mind give way”. 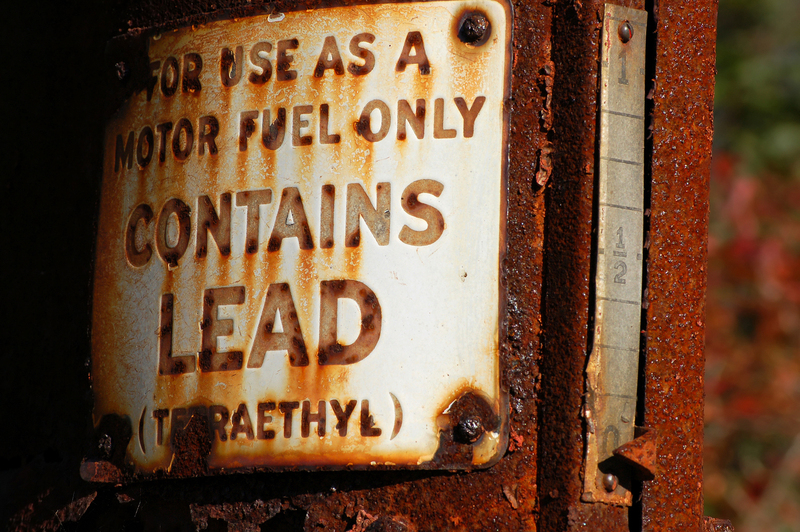 So what exactly does lead poisoning do to the body? Well, depending on how much of the substance gets into your body (and it doesn’t take much, particularly for children), it can cause everything from constipation to permanent reduction in your IQ and mental capacity. It also can potentially fundamentally change a given person’s personality, causing them to be irritable and suffer from erratic mood-swings and fatigue without warning; cause a reduction in sperm count and infertility; stunted growth (in children); miscarriages; and a whole slew of other terrifying symptoms. So that’s what it can do, but how? Why is lead so dangerous to the human body while we can safely ingest many other types of metals, like iron, without worry (and, in fact, need some of them to survive)? While research is ongoing into the full effects and mechanisms involved in lead poisoning, what we do know is that a lot of the damage is due to the fact that important things like zinc, calcium, and iron in the body can ultimately get replaced by lead in many key biochemical reactions, if lead is present. Unlike these other metals, though, while lead is happy to bind and interact with various critical enzymes, the result isn’t the normal reaction you need. For example, with calcium, as noted in this paper on the Mechanisms of Lead Neurotoxicity, lead has a nasty habit of being able to mimic, or in some cases straight up inhibit the actions of calcium in natural biological reactions that take place within the human body, inhibiting neurological function, among other things. Lead also can damage DNA, as well as your cell membranes, the latter of which, combined with the fact that it also interferes with heme synthesis, can result in anemia among a host of other problems. It can interfere with the ability for your body to synthesize vitamin D, which comes with yet another host of its own problems if you don’t have enough. It also causes a few different problems with your immune system; interferes with metabolism of bones and teeth; can cause abnormal calcium build up within cells… the list goes on and on and on. If that wasn’t bad enough, lead can easily find its way into almost any part of your body once introduced, whether by breathing it in, ingesting it, or (very rarely) via skin absorption. So, in short, lead is bad for you because, though lead has no useful function in your body, it’s happy to jump on in and give it its best college try, interacting up a storm with various enzymes, failing the whole way at producing the reactions that are needed for normal body function. But what it lacks in end result, it makes up for in staying power. You see, the half-life of lead in the body is quite long- weeks in your blood, months in your soft tissues, and years in your bones; and by years we mean up to two to three decades. Who needs proper enzymatic function anyway? For reference, about 94% of lead absorbed into the adult body and 70% in children gets stored in the bones and teeth. This actually turns out to be a potentially good thing, as its ability to do damage is significantly greater in your blood and soft tissues than in bone. This is one of the reasons kids are so much more susceptible to the negative effects of lead poisoning. Regulatory roles of high-affinity metal-binding proteins in mediating lead effects on delta-aminolevulinic acid dehydratase. Lead Toxicity What Are the Physiologic Effects of Lead Exposure? America has a big problem with products containing lead and will make special laws to prevent them from going to the market… at the same time, there is no problem in selling guns that will shoot lead straight through you… so yeah, lead is bad !